A new frenzy of activity swept over many parts of the island. Men ran through lists of chores, most of which could have been completed long before. The sudden imposing deadline exposed all procrastinators. 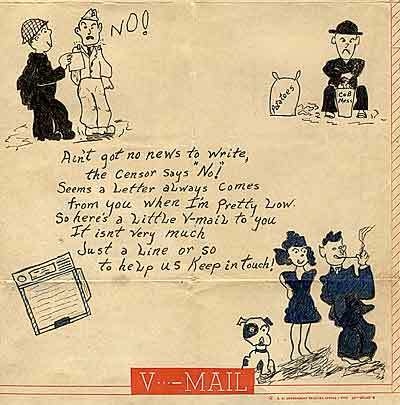 Letters home could be mailed, but would be held until the invasion was landed. Long lines formed to ship armfuls of belongings back home. Personal effects, trophies, and mementos burdened the slow moving columns of apparent refugees. Some parcels were suspiciously close in size and shape to the more memorable signs and street markers that our engineers perpetually replace across Okinawa. One fellow I met had only an old pair of tattered boots in hand. They were his first combat boots, veterans of three Mariana islands. He had a one year old son he’d never met. He wanted to be sure the boy had something to remember him by, whatever might happen. Some of the men shipping out have been on Okinawa for several months. They had two days or less to reduce their personal effects to one duffel bag of material. Whatever homey touches they had accumulated in their tents or barracks had to go, by barter or disposal. Special trash piles were started and soon were adorned with prints of the least favorite pin-up girls. Only the dearest images would wind up in wallets or combat packs. Hollywood producers might be surprised at which of their carefully promoted personas made the cut. At night more than a few contraptions were added to the junk piles which might be recognized as liquor stills. They may have been moved discretely because of their prohibited distilling potential, or because most were made of materials pilfered from military stockpiles.